The Adam Burdeshaw Blog | I'm Adam and chances are I'm here to help you. Radar snapshot of Hurricane Michael as he made landfall on Oct. 10, 2018. What follows is my personal, frail attempt to make sense of a devastating event. While dining at my sister’s house, I sat beside my nephew, Leader, who was seven or eight years old at the time. He is eleven now. Guided by a profound impulse, he decided to ask me a series of theological questions, which he has been known to do at odd times (for example, he once told me I had to “fight the dragon” so that I could become “a king of forgiveness”). “Yes?” I said, turning toward him. “Do you love God more than money?” he asked, his smile as big as a crescent moon. “Yes,” I said. I went back to my food, thinking that would be the end of it. “Do you love God more than houses?” he asked, his tenor elevated. He seemed to know well enough that sequels should raise the stakes. His smile broadened. I decided not to take the next bite, knowing that another question must follow in the series. To him, it was a kind of game where the questions must be part of a trilogy. “Do you love God more than the world?” he asked, raising his volume to something like half a notch above inside-voice acceptable decibels. I waited, wanting to give myself a moment to be honest even if it led to disappointment. Anyone claiming to be a believer would want the answer to be “Yes”. But I gave myself enough time for it to be a cold, cowardly “No” if the truth of my heart demanded it. I gave myself time to fall if fall I must. As soon as I spoke, I knew I had done what for me had always been unthinkable. I had made a commitment. Leader smiled bigger, but not because he had trapped me. He smiled in a kind of child-like awe. You see, because I had affirmed my love for God above money, houses, and the world—because of these affirmations of faith, he seemed to think I was some sort of hero. I am awake when the iOS alert goes off. FIND SHELTER NOW. The sound is a challenge to describe. For me, it invites a sudden onset of nausea. If I manage to sleep, I awake within a few hours drenched in chilled sweat. Earlier this year, in Ecuador, I had descended four flights of hotel stairs to the same sound going off minutes after the building had shaken and swayed—a 6.2 temblor 75 miles west had thus announced itself. Guayaquil has seen worse; the traffic never stopped and we were back in our rooms within the hour. Fast forward one month later: on October 10, 2018, my city saw the worst. We fled at exactly 7AM and reached Birmingham just as Michael made landfall as the third worst storm in modern U.S. history and Bay County’s most devastating storm on record. But I have no interest in writing about Michael’s power over physical objects. I am not here to remind you how bad it was—if you live there, grew up there, have family there, then you already know. No, I am interested in something else. I will tell you now so you can make an early break for the door if the topic seems vaporous, like the kind of nonsense a sage would ramble about while falling asleep in his favorite chair. What interests me is the thing we lose when we rely too heavily on our experience. I am interested in my capacity to feel dread—that ancient enemy of Certainty and one of the oldest friends of Spirit. I am interested in the end of pride and the beginning of wisdom. 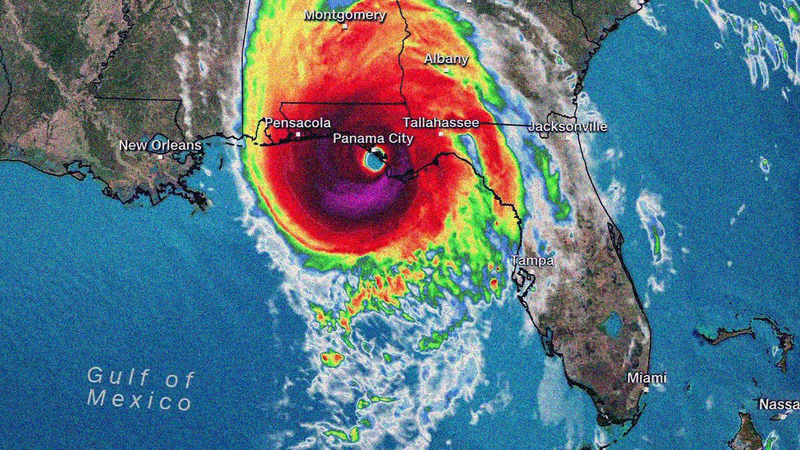 Remember that Michael was hailed as an unprecedented storm before he made landfall. Keep that word in mind as you read: unprecedented. It is the word of the hour, the year, maybe even the decade. Perhaps your mind has already retrieved a list of unprecedented events of the past ten years. For my purposes, the word deserves to become a proper noun: a name. Before Michael, Unprecedented may as well have been a street-corner prophet or a flittering, homeless junkie—I would rather dodge into oncoming traffic than pass within six feet of him. You, too, have been avoiding him at every turn. But at last we have seen him uncloaked, and there is no dodging him now. You might ask why I have chosen a gender-specific pronoun for Unprecedented. For now, suffice it to say that Wisdom will introduce herself soon and it suits my sense of mise en scène to permit a balance of male and female players. But let us not get ahead of ourselves. Not until Unprecedented has made himself more than a street-corner prophet—indeed, not until he has risen to the level of Archangel will Wisdom make her appearance. See what I did there? Aren’t I clever? Maybe you agree that I am clever or maybe you are convinced (reasonably) that I have taken the metaphors too far, that I have wandered into the misty Lost Woods of creative interpretation and have strayed from reason’s guiding melody. Perhaps I have. But let me be clear: unlike our Puritan forebears, I do not interpret the ransacking of my village as some divine penalty for my apostasy. If that is your perspective, suit yourself. It is not mine. When I think of Michael, I do not think of wrath or judgment. Nor do I think God is the mastermind behind a storm whose sole purpose was to prompt knee-jerk repentance on a massive scale. I am not Jonathan Edwards, nor am I on the lookout for the next great awakening (sorry to disappoint my fellow charismatics). Rather, I seek an awakening where we learn that we have all been, at one time or another, patrons to a false god who offers us the promise of certainty in exchange not for our faith but for the complete lack of it. What false god? What is he talking about? Doesn’t he know we just went through hell and misery and that all we’ve been doing for weeks is helping each other rebuild (while he sits pretty in California sipping a latte, I might add)? Please do not mistake me. You have shown your mettle and are to be held in high esteem. I can only speak of what I have found in myself and, perhaps in the process, help you renew your hope and reaffirm the cornerstone of your faith. That thing you are holding on to—that job, that man, that woman, that ideal, that business, that house, that goal, that church, that order of things, that prophecy, that calling: imagine yourself without it. What do you fear most in this life to lose? If you can, envision yourself on the other side of that loss. Put yourself in a virtual reality where dread is the dominant emotion. But be warned: this will be almost as painful as the reality itself. Proceed with caution into this lucid nightmare and crisis of the soul. Take a moment to manifest the vision. Breathe. Now, what are you left with? What shape does the monster take that now stares you down? Take a long look at this “you” separated from all qualifiers, preconceptions and ideals, from everything you think you know about yourself. Put away your Bible, your creed, your kingdom, your ecclesia, your academia, your wealth, your poverty, and above all your experience—anything that has brought you certainty, negative or positive. They cannot enter here. What did you see? Who did you meet? When I remember Michael, when I remember my dread, I am left with an opaque vision of something like a jealous Love, an untamable Hope, and Mercy as a juggernaut. If you think this is how I cope with the vision, very well. You might be right. But I believe it is something more. You see, I am a bit cracked in the head. I happen to think the Spirit of the Living God is leading me to a deeper revelation of his power and love. And this next one is a bit more controversial: I happen to think that, in his relentless mercy, he fortifies my faith in him despite my resistance. After all, I tried to ally with Certainty and build walls on the foundation of my experience. But thanks to Unprecedented uncloaked, the deal fell through. In case you did not see it coming, Unprecedented uncloaked has a name: Michael the Fierce, who in a spirit of might reminds us of one mightier still. He comes because he wants us to remember that our experience counts for nothing unless it can be transformed and redefined by Spirit. He wants us to realize the truth (there is no spoon)—that trust in our experience has led us to invite Certainty into our hearts, where only one can dwell. Little did we know that Certainty would paint himself as a bullseye on our foreheads. A bullseye for whom? All this time and we never knew: our trusty old friend was in league with his older sister, Chaos, from the start. What a twist, indeed. Certainty guaranteed our comfort, swore upon his foundations that we would never hunger or thirst if we sustained him with our lack of faith. But that is just the problem. Certainty had no basis for his oaths and like the serpent before him promised what was not his to give. Blessed are those who hunger and thirst, for they will be satisfied. To hunger and thirst is to suffer. Faith leads to righteousness, and righteousness requires suffering. We are all going to suffer regardless of where we put our trust. The question is, rather, will we suffer bitterness and betrayal at the hands of Certainty, or will we suffer ourselves to trust in Spirit? Hint: the former guarantees the absence of dread—but who can know the cost? The fear of the Lord is the beginning of Wisdom. For some of us, Michael may be that beginning. To dread the Almighty is to invite his guiding power to transform our hearts and minds until we depend on him alone; “let him be your fear, and let him be your dread” commands us to make him our certainty. Lucky for us, sometimes that guiding power manifests whether we invite it or not. We have all welcomed Certainty—a vampire must be invited before he can enter, after all. But the grace of God hovers before no threshold, bows beneath no arch. No longer will we be detained by the prince of this world and his false promises, for Michael has arrived. “When they had finished eating, Jesus said to Simon Peter, ‘Simon son of John, do you love me more than these?’” (John 21:15, NIV). Whenever I read this passage now, I am moved by its eerie resemblance to the exchange between me and my nephew on a day so uneventful I do not recall the month or the year. But that part about “When they had finished eating” also makes me laugh since Leader did not wait until I had finished eating before asking me a similar trilogy of questions. He just went for it. If you have made it this far, you might ask how this story is relevant to dread, devastation, faith, or a hurricane. Well, I am still in the middle of making sense of that myself. But if I must give an answer, here is the one that comes to me: my nephew, inspired as he is by Spirit, asked me the same question three times in a row. He asked me if I loved God more than Certainty. He wanted to know if I had the one thing required to please God—to please Being itself. And in the moment, I had answered in faith, “Yes”, knowing nothing of the wrath to come. Now, on the other side of desolation, I can say with some confidence: to that answer I hold. If you are not a Zelda fan, sorry for this one. You will just have to work it out on your own. See Daniel 10:13 and Revelation 22:20. I am, says the Eternal Flame to Man. The Man is afraid, abiding the moment as one in a trance or stranded in a dream idling on the edge of wakefulness. The blaze is hot but not stifling. It is a perfect heat, if such a thing can be perfect. Purple and pink tendrils of lighting reach over the mountaintop as if drawn by the flames. The fire drinks the rain. It is a fire unquenchable just as the force fueling it is unstoppable. The ground is sacred – take off your shoes and feel the earth. Be in this moment. Hear me. Believe me. Trust me. Do everything I say and never again know the fear of man. Wake up. I am the Lion and I am the Lamb. I spoke and light tore through dark matter like a splintered diamond. I breathed and the wind skipped across an eternal storm igniting a restless ambition. Wake up. Be light. Know me. I am the Lion and I am the Lamb. I never tire of the flames or of the furious speed. I do not grow weary at the vastness of my thoughts. The songs of stars are not repetitious to me. Have you ever waited and listened for the trumpet blast of supernovas? Have you counted the gems of Heaven? Do you know their names or their ages? I have waited – I am Time’s Master. I have counted them all. I know their names. I remember when each was born. I am the Lion. I am the Lamb. I am the Phoenix. And the resurrection fire is my cloak. I am the Healing Serpent untethered and shedding his bronze scales; they lie like sunbaked husks in the desert. You could follow them but your path would be aimless, for the relics do not point to me. I am the unexpected creature that comes after the Great Unraveling of Time and Space. I am Abel’s blood, shed on every battlefield. I am the mark, both upon Cain and upon the desperate mob in swift pursuit. Blood for blood. Mine for yours. 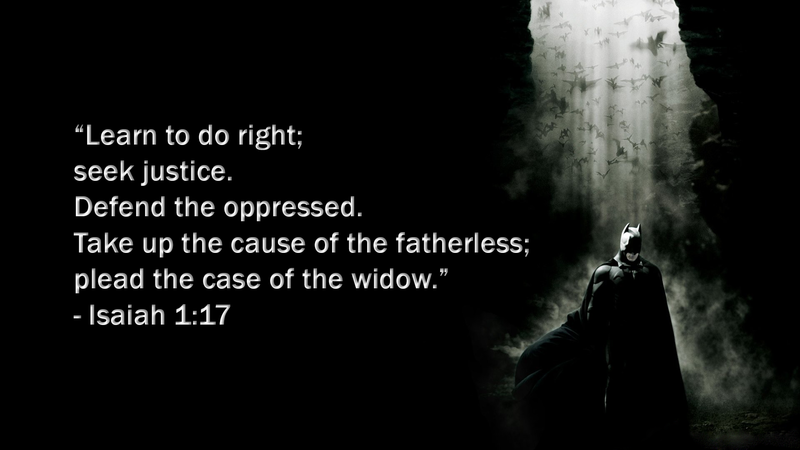 Where can righteousness be found? Who is seeking it? Seek the Lamb. You will be cleansed. Seek the Lion. You will be vindicated. Seek the Phoenix. You will be restored. Seek the Serpent. You will be forgiven. Seek the unexpected creature. Follow her into the storm, beyond the great terror at the edge of infinite possibility, where love perfected drives out all fear. When you arrive, the only dread will be the dread of me. The Man blinks and the fire is gone. His dripping clothes sag and cling coldly to his skin. The leaves jostle in the wind and cast a cool mist. No smoke. No ashes. A flick of lightning far off tells him the storm passed hours ago. But he knows that one day it will return to this hallowed place. It must return because it isn’t finished. He turns and appraises the dirt path that will take him down again into the valley, across the mile-long field and at last to the tent where his wife and sons still sleep. Could he not lie down beside them and wait for the morning? Could he not go back to tending sheep? It isn’t finished. And neither is he.